If you're obsessed with practicality dressing when it comes to fashion, you'll love this totally stylish combination of a black turtleneck and a BOSS tradition leather strap watch 40mm from Nordstrom. Sporting a pair of tobacco leather knee high boots is a simple way to add extra flair to your ensemble. If you're obsessed with functionality dressing when it comes to fashion, you'll love this adorable combination of a white check dress shirt and a brown leather watch. You could perhaps get a little creative when it comes to footwear and dress up your outfit with tan leather heeled sandals. Consider wearing a black tank and a BOSS tradition leather strap watch 40mm, if you want to dress for comfort without looking like you don't care. You could perhaps get a little creative in the shoe department and lift up your getup with black leather mules. If you're all about functionality dressing when it comes to your personal style, you'll love this totally stylish pairing of a light violet maxi dress and a BOSS tradition leather strap watch 40mm. Elevate this ensemble with tan leather heeled sandals. If you're all about relaxed dressing when it comes to your personal style, you'll love this adorable pairing of a grey oversized sweater and a brown leather watch. You could perhaps get a little creative in the footwear department and dress up your ensemble with white leather pumps. If you're all about relaxed dressing when it comes to fashion, you'll love this totally stylish pairing of a beige fluffy crew-neck sweater and a BOSS tradition leather strap watch 40mm. For something more on the daring side to round off this look, throw in a pair of red rain boots. 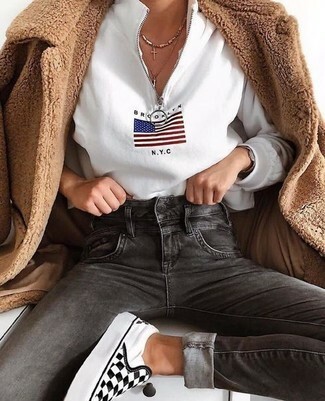 If you're obsessed with comfort dressing when it comes to fashion, you'll love this stylish pairing of a beige crochet crew-neck sweater and a brown leather watch. Bump up the cool of your outfit by rounding it off with dark brown leather oxford shoes. 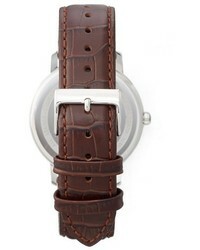 If you're on a mission for a casual yet stylish ensemble, wear a brown fur coat and a brown leather watch. Both items are totally comfy and will look fabulous paired together. White and black check slip-on sneakers complement this outfit very well. 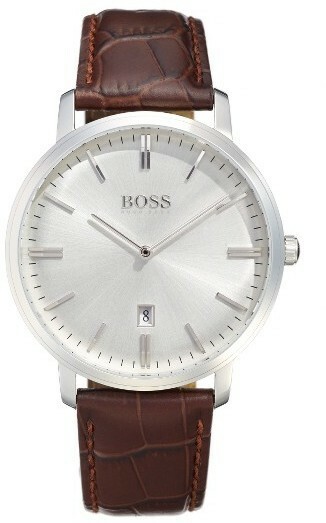 If you're all about relaxed dressing when it comes to fashion, you'll love this stylish combination of a white crew-neck sweater and a BOSS tradition leather strap watch 40mm from Nordstrom.